Still have 4 puppies left. Tails, claws, and first shots are done. Ready for new homes. 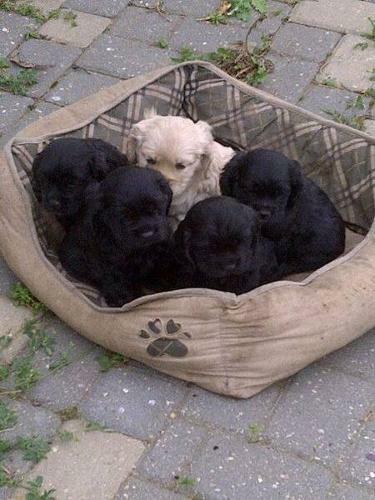 1 black female, 2 black males, and 1 blonde male remaining. For more info contact Blair at 306-921-. Please leave a message if no answer. You may email me your number, Serious inquiries please. Sweet little cocker puppies. Will have shots and deworming. Parents are AKC registered.